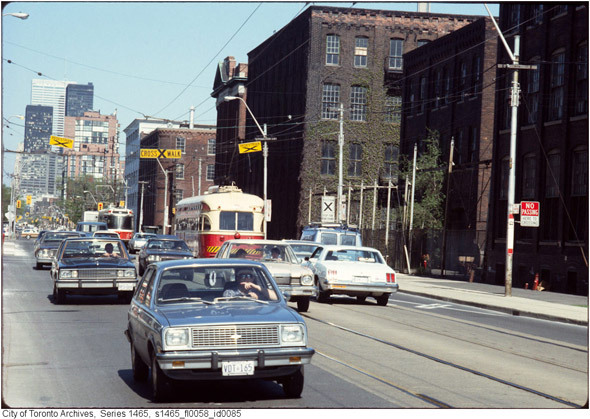 The King West of the 1980s was a different place than it is today. 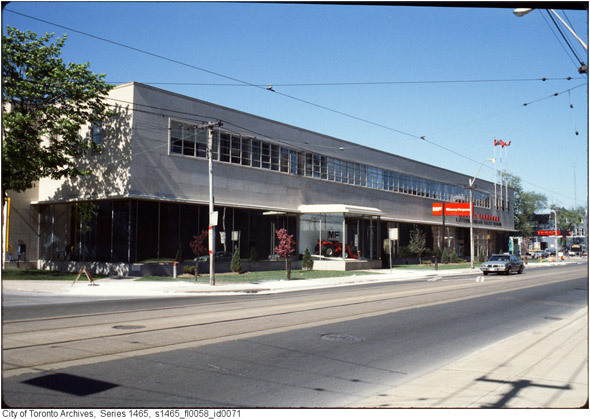 One of those areas that's undergone an almost complete transformation, prior to a condo boom that kicked off in the late 1990s, for over 100 years the street was dominated by Massey Ferguson, one of the world's leading manufacturers of agricultural equipment. 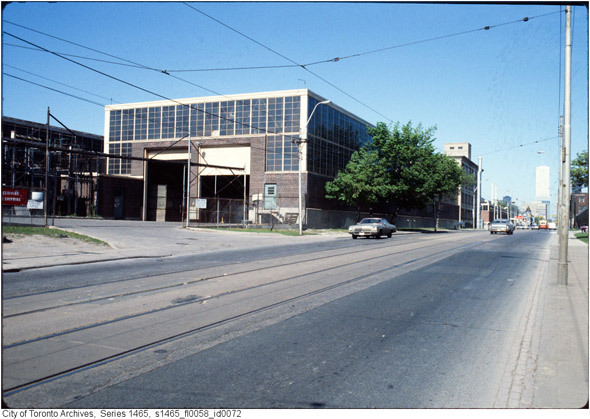 The Toronto Works of Massey Ferguson took up much of the area along King West from Bathurst to Sudbury Street as far back as the late 19th century when the company was Toronto's leading employer. This ain't no Distillery District. 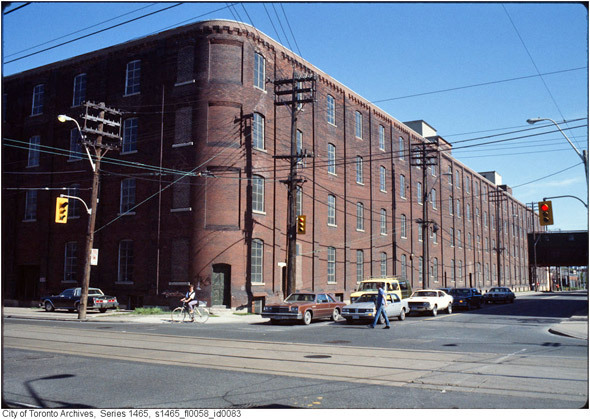 Although a few signs of the former industrial character of the area remain, when the area was re-zoned for residential development in 1996, warehouse conversions weren't at the top of the list. Looking east along King St. W at approximately Sudbury St.
And that's why these images, which might not seem particularly remarkable on the surface, are nevertheless fascinating. Looking west along King St. W at approximately just east of Shaw. Looking east along King Street from approximately Shaw St. 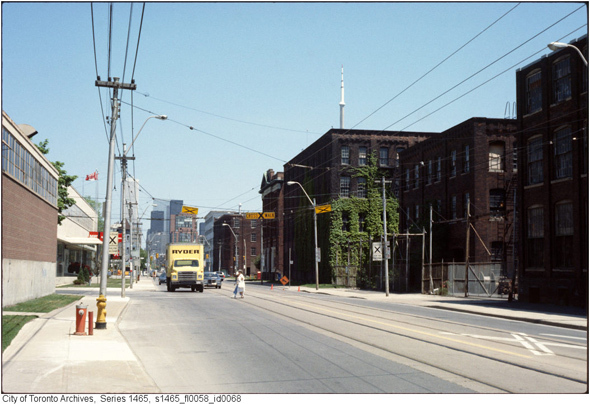 This would be a view from what is now The Electra Lofts at 1029 King St W.
Looking east along King Street at Crawford Street. 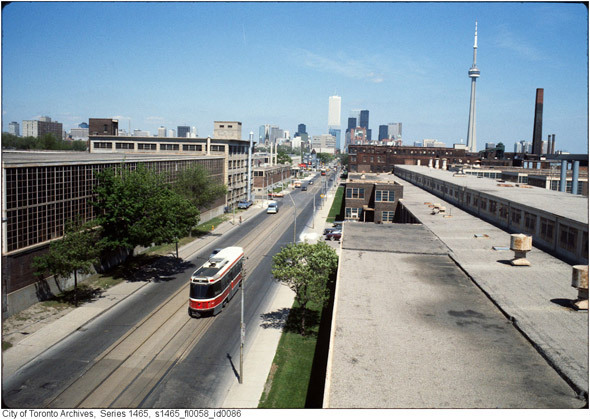 The two closest buildings are now Massey Harris Park. 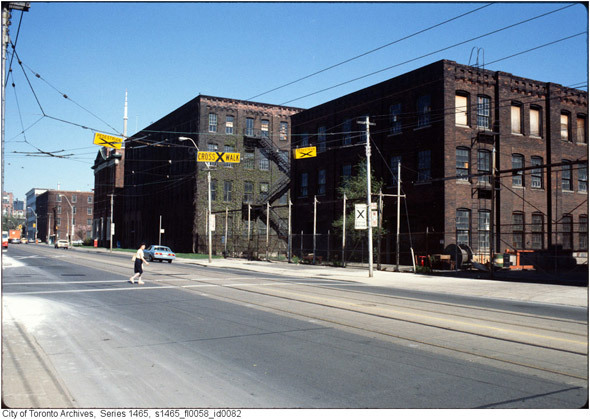 The 3rd is now the Massey Harris Lofts at 915 King St. W.
The south east corner of King St. W and Strachan Avenue looking south. Looking east along King St W from approximately Shaw St. Looking west along King Street at Crawford Street. 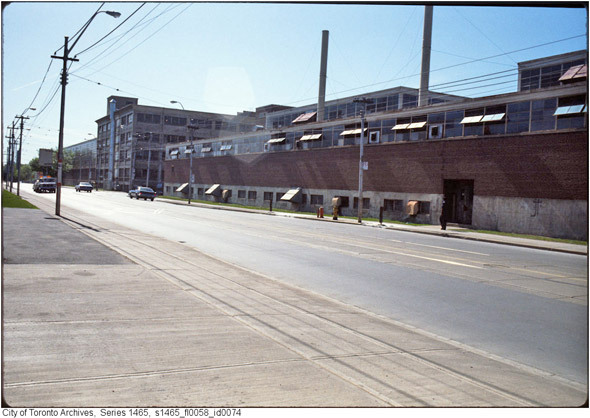 The two closest buildings are now Massey Harris Park. 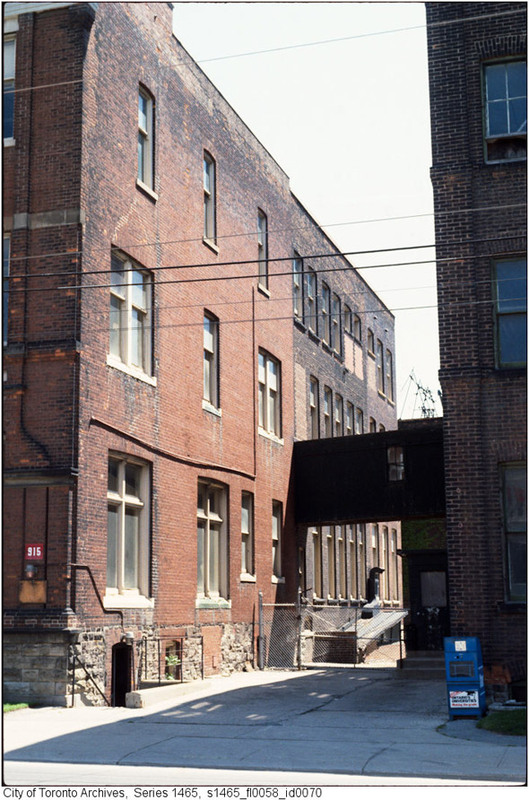 The third is now the Massey Harris Lofts at 915 King St. W.
Looking east along King Street at Crawford Street. The 3 closest buildings are now Massey Harris Park. 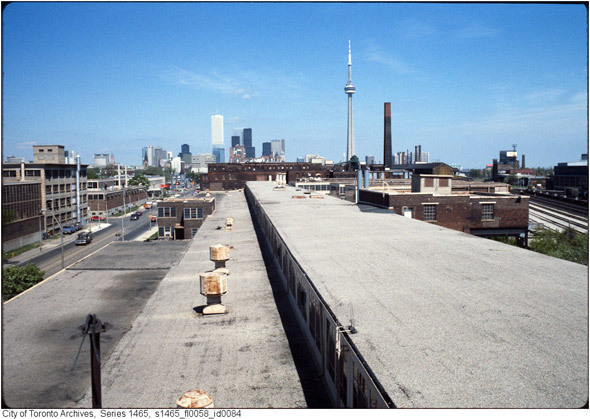 The 4th is now the Massey Harris Lofts at 915 King St. W. The north side buildings are now 1000 and 954 King St W.
The building to the left is the former Massey Harris head office, now the Massey Harris Lofts at 915 King St W. The building to the right is now part of Massey Harris Park. Toronto Archives. King West looking east towardsStrachan. The two buildings are now King West Place at 901 King St W. The closer building is now 905 King St W. Of note, the large plaque is a memorial to the Massey Harris workers lost in WW1 and now located on the east wall of the Massey Harris Building (915 King St W). With files from Derek Flack and Colby Bayne.